China officially has 55 ethnic minorities, and one majority, the Han Chinese. The ethnic peoples are concentrated in the south, west, and remoter northern regions of China. Cities are more heavily populated by Han Chinese than the surrounding countryside, even in minority autonomous regions, so most minority attractions and the purest ethnic culture is usually found outside the cities. Therefore "cities" here usually refers to the prefecture associated with the city. 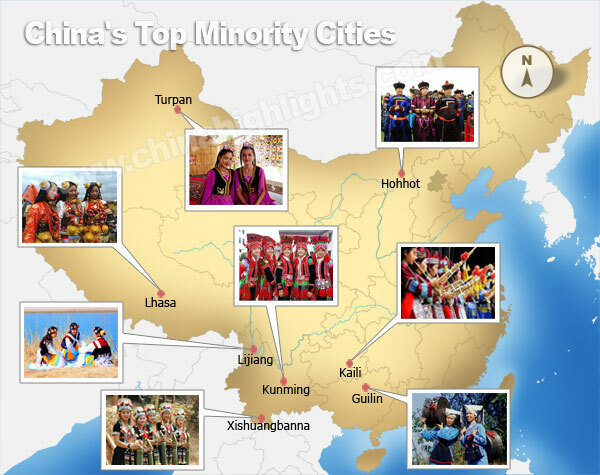 Below are China’s top eight minority cities, chosen for their accessibility to tourists, and range of minorities represented. Kaili is the minority capital of China. It is known as “the city of festivals” because of the more than 100 festivals held each year, mostly by the Miao minority. The most famous is probably the Sisters Meals Festival. Kaili has many Miao villages open to tourists. There is also an Ethnic Minorities Museum. Key Tibetan Festivals: Tibetan New Year or Losar (March), Shoton Festival (late August). Lhasa is truly a minority city. Capital of the roof of the world and center of Tibetan culture, Lhasa’s Potala Palace, and the Dalai Lama who lived there, once represented the supreme authority for this people group. Now part of China, Tibet exists as an Autonomous Region still governed from Lhasa. The temples and monasteries around Lhasa are the most important for Tibetan Buddhists. Xishuangbanna is China’s most rainforested prefecture, bordering Myanmar and Laos. Its tropical lush environment supports the Dai and Hani peoples, who make up about 30% and 20% of the local population respectively. There are several Dai minority attractions including Manting Park and the Octagonal Pavilion. The Dai Water Splashing Festival is held April 13–15. The city of Guilin is mostly Han-ized, but Guilin’s famous karst countryside has been the traditional home of China’s largest minority, the Zhuang, for centuries. There are several designated Yao minority districts, and Gongcheng is a Yao County, famous for its oil tea and Peach Blossom Festival. Yangshuo’s countryside, particularly along the popular cycling routes, is populated by Zhuang farmers. The legendary Zhuang “Song Fairy”, Liu’s Third Daughter, is honored to the point of worship by some. Her statue is paraded during the Zhuang Song Festival in April, and her story is told in the on-river show Impression Liu Sanjie, which also features other minority songs. Then there is Longsheng, known for its Dragon’s Back Rice Terraces, where the long-haired women of the Red Yao live. Their Red Clothes Festival is in April. The Zhuang of nearby ‘Safe and Sound’ Village have kept more of their costume and customs than those of Yangshuo. Further into the Longsheng mountains are Dong and Miao villages. 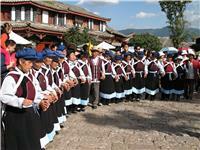 Lijiang in the tall mountains of the Yangtze Upper Reaches is home to several minorities. Lijiang Ancient Town, Shuhe Ancient Town, Baisha Old Town, and Dongba Village display traditional Naxi architecture and are showcases for the culture of the Naxi people. Discover the Mosuo people of Lugu Lake, and further up into the mountains are Tibetan, Bai, and Yi peoples. Hohhot is the capital of Inner Mongolia. While it is not the most ethnic city (only 13% minority people), it is the most accessible city with Mongol culture. The grasslands of Hohhot Prefecture are the place to see the nomadic pastoral lifestyle of the Mongols. Naadam, the Mongolian outdoor sports festival is celebrated in July/August on these grasslands. Mongol food is highly recommended. Kunming is truly a minority city with all of Yunnan’s 25 ethnic minorities represented, although 80% of the city population are Han. To get an impression of the variety of peoples living in Yunnan we recommend you see Yunnan Ethnic Village, a convenient way to experience many Chinese ethnic cultures without having to journey to a remote location. Xinjiang Uygur Autonomous Region has the greatest number of minorities of any Chinese region. The majority are Turkic/ Central Asian and Muslim in origin, like the Uygur, Kazakhs, Hui, and Kirghiz. Outside Urumqi, most Xinjiang cities are predominantly ethnic. 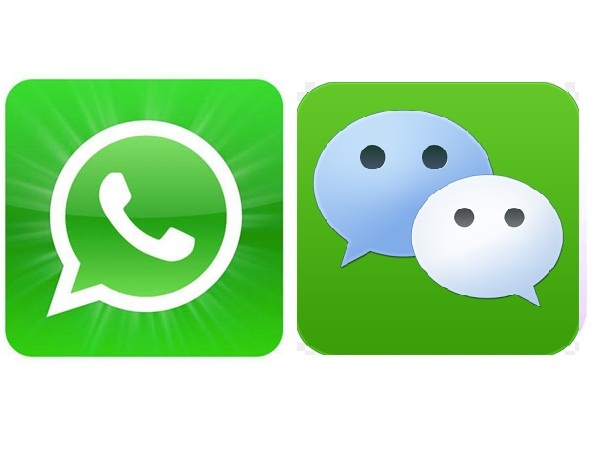 Turpan is one of the more accessible of these. Visit Grape Valley to get in amongst Uygur culture, and for Uygur-style architecture see Emin Minaret. Some minorities have autonomous regions set aside for them, so if you are interested in these minorities, just go to the cities in their region. Zhuang: The Zhuang are concentrated north of Nanning, around Liuzhou, and in Central, North, and West Guangxi and surrounding provinces. Hui: Ningxia is a small region set aside for the Hui people, but the Hui are China’s most widely spread minority, and can be found in every province and all the large cities. Just look for the mosques. Uygurs: The Uygurs’ autonomous region is Xinjiang, Northwest China. Mongols: Chinese Mongols mainly live in Inner Mongolia. Tibetans: All cities in Tibet could be called minority cities as Tibetans and their culture predominate wherever you go in Tibet.